According to Greek Mythology, Menthe was a water nymph who fell in love with Hades, Persephone's husband. The jealous goddess turned the nymph into a green plant, today famous for its deliciously fresh sweet aroma. Mint is aromatic and pleasant. Its refreshing and cooling proprieties make mint one of the most appreciated and used herbs in worldwide cuisine as well as confections. Peppermint is often associated with the winter holidays, in the form of cheerful red and white candy canes. 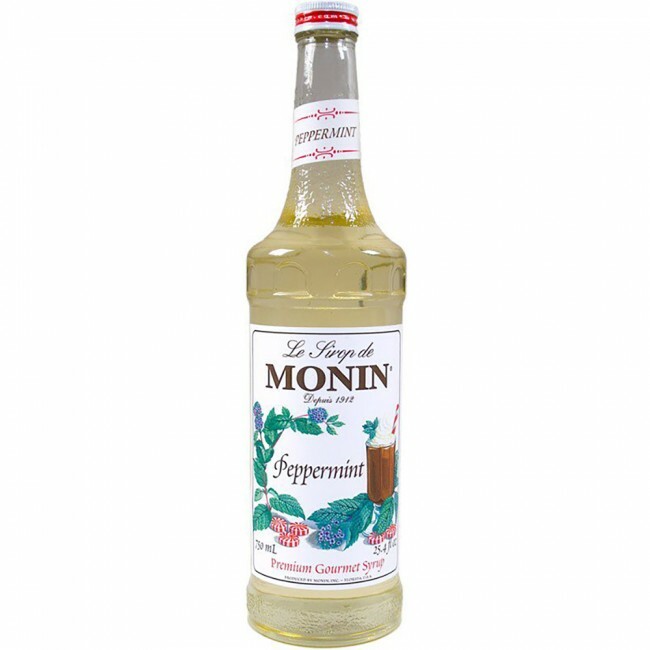 Create beverages for the holidays and beyond with Monin Peppermint! Monin Peppermint can be used for delicious mochas and much more. Monin Peppermint Syrup has a refreshing peppermint aroma and a long lasting, invigorating mint mouthfeel.